Dumfries is a market town and former royal burgh within the Dumfries and Galloway council area of Scotland. It is located near the mouth of the River Nith into the Solway Firth. Dumfries is the traditional county town of the historic county of Dumfriesshire. Dumfries is nicknamed Queen of the South. The nickname has also given name to the town's professional football club. People from Dumfries are known colloquially in the Scots language as Doonhamers. "We Found Love" is a song recorded by Barbadian singer Rihanna from her sixth studio album, Talk That Talk (2011). It was written and produced by, and features Scottish DJ Calvin Harris; the song was also featured on his third album 18 Months (2012). "We Found Love" premiered on September 22, 2011, on the Capital FM radio station in the United Kingdom, and was made available to download on the same day as the lead single from Talk That Talk. 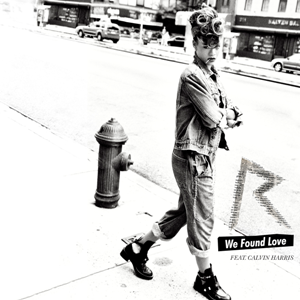 "We Found Love" is an uptempo electro house song, with elements of techno and Europop. The song's lyrics speak of a couple who "found love in a hopeless place". 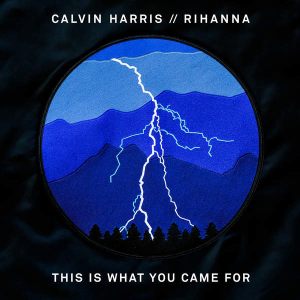 "This Is What You Came For" is a song by Scottish DJ and record producer Calvin Harris, featuring Barbadian singer Rihanna on vocals. It was released on 29 April 2016, through Columbia Records and Westbury Road. The song was written and produced by American singer-songwriter Taylor Swift, who was initially credited with the pseudonym Nils Sjöberg. Rihanna and Harris had previously collaborated on her sixth studio album, Talk That Talk, which included the international chart-topper "We Found Love" and US top five single "Where Have You Been", the former of which was written and produced by Harris. He played the final version for Rihanna at the 2016 Coachella Music Festival. It was also played at the 2018 FIFA World Cup Final after the conclusion of the match. His debut studio album, I Created Disco , was released in June 2007 whose two singles, "Acceptable in the 80s" and "The Girls", reached the top 10 in the UK. In 2009, he released his second studio album, Ready for the Weekend , which debuted at number one on the UK Albums Chart and whose lead single, "I'm Not Alone", became his first song to top the UK Singles Chart. In 2012, Harris rose to international prominence with the release of his third studio album, 18 Months , whch topped the UK Albums charts and became his first album to chart on the US Billboard 200, peaking at number 19. All eight of the album's singles reached the top 10 in the UK, breaking the record for the most top 10 songs from one studio album on the UK Singles Chart with eight entries, surpassing Michael Jackson’s record. In 2014, he released his fourth studio album, Motion , which debuted at number two in the UK and number five in the US. In 2017, he released his fifth studio album, Funk Wav Bounces Vol. 1, which reached the top 2 in the UK and the US and became his third consecutive number one album on the US Dance/Electronic Albums chart. 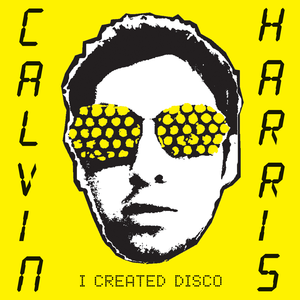 I Created Disco is the debut studio album by Scottish musician Calvin Harris. It was released on 15 June 2007 by Columbia Records. It was preceded by the singles "Acceptable in the 80s" and "The Girls", which reached numbers 10 and three on the UK Singles Chart, respectively. The album debuted at number eight on the UK Albums Chart with first-week sales of 16,121 copies. On 23 May 2008, it was certified gold by the British Phonographic Industry (BPI). I Created Disco had sold 223,845 copies in the United Kingdom by November 2014. 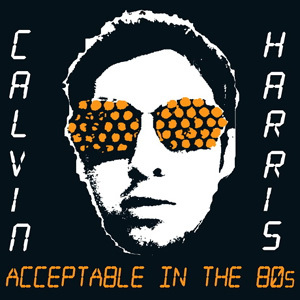 "Acceptable in the 80s" is the debut single by British musician Calvin Harris from his debut studio album, I Created Disco (2007). It was released on 12 March 2007. The single peaked at number ten on the UK Singles Chart. The song samples David Bowie's 1983 song Shake It. "The Girls" is a song by Scottish musician Calvin Harris. It was released as the second single from his debut studio album, I Created Disco (2007), on 4 June 2007. "The Girls" was Harris' highest charting single on the UK Singles Chart, on 10 June 2007, "The Girls" reached a peak of number three. A "bootleg" version of the song leaked on file, sharing a several months before I Created Disco was released. The song has been covered by electropop outfit Dragonette, who changed the main lyric to "The Boys". In October 2014, he became the first artist to place three songs simultaneously on the top 10 of Billboard's Dance/Electronic Songs chart. He also became the first British solo artist to reach more than one billion streams on Spotify. Harris has received ten Brit Award nominations and four Grammy nominations, winning a Grammy for Best Music Video in 2013. He received the British Academy's Ivor Novello Award for Songwriter of the Year in 2013 and was named the Top Dance/Electronic Artist at the 2015 Billboard Music Awards. He appeared on Debrett's 2017 list of the most influential people in the United Kingdom. He topped Forbes ' list of the world's highest-paid DJs for six consecutive years from 2013 to 2018. The Dance/Electronic Songs chart has been published weekly by Billboard since January 2013. It is the first to be published that ranks the most popular dance and electronic according to airplay audience impressions, digital downloads, streaming and club play and it was introduced as a result of in an increase in the genre's popularity. The longest running number-one song is "The Middle" by Zedd, Maren Morris and Grey, which topped the chart for 33 weeks. Spotify is a Swedish audio streaming platform that provides DRM-protected music and podcasts from record labels and media companies. As a freemium service, basic features are free with advertisements or automatic music videos, while additional features, such as improved streaming quality, are offered via paid subscriptions. Dumfries High School is situated in a residential area of Marchmount in Dumfries, Scotland. It has been on this site since 1961, and has been expanded and improved since. It is adjacent to the David Keswick Athletic Centre, which provides sporting facilities both for the school and the local community. Ayah Marar is a Jordanian singer-songwriter, producer, DJ, radio show host, writer, label owner based in the UK. She has been featured as a vocalist or writer on music from British artists including Calvin Harris, DJ Fresh, Camo & Krooked, Bassline Smith and Jack Peñate. Myspace is a social networking website offering an interactive, user-submitted network of friends, personal profiles, blogs, groups, photos, music, and videos. Myspace was the largest social networking site in the world from 2005 to 2009. It is headquartered in Beverly Hills, California. Global Gathering was an annual dance music festival by Angel Festivals Limited. Festivals are held in countries such as the UK, Poland, Russia, Belarus, Ukraine and feature leading electronic music artists from around the globe. The festival has been running since 2001; the concept came about following enormous interest in the opening Code club, the home of Godskitchen. The organisers recognised that there was room to expand dance music from clubs to outdoor music festival venues. All Saints are a British girl group formed in London in 1993. They were founded as All Saints 1.9.7.5 by members Melanie Blatt, Shaznay Lewis and Simone Rainford. The group struggled to find commercial success upon being signed to ZTT Records and were dropped by the label shortly after Rainford left the group. In 1996, the group were joined by sisters Nicole and Natalie Appleton and signed to London Records under their shortened name. Harris claimed that Chris Brown's "Yeah 3x", released in October 2010 plagiarised his 2009 single "I'm Not Alone"  After considering similarities between the two songs, Harris was subsequently added to the songwriting credits on the single and the F.A.M.E. album. Harris was also featured on Kylie Minogue's eleventh studio album, Aphrodite, collaborating on a disco and synthpop track titled "Too Much". In July 2010, he released a mix titled L.E.D. Festival (short for L.E.D. Festival Presents... Calvin Harris). Harris released a new single titled "This Is What You Came For", which features Rihanna, on 29 April 2016. The single debuted at number two on the UK Singles Chart. It peaked at number three on the US Billboard Hot 100, becoming Harris's second top five song. It also reached number one on the US Hot Dance/Electronic Songs, became Harris's tenth number one on sister chart Dance/Mix Show Airplay and his fourth chart-topper on the Hot Dance Club Songs Chart. It topped the charts in Australia, Canada, and the Republic of Ireland and peaked within the top ten of the charts in Germany, Ireland, New Zealand and Switzerland. Barbadian singer Rihanna has released eight studio albums, two compilation albums, two remix albums, one reissue, and 71 singles. Since the beginning of her career in 2005, Rihanna has sold over 280 million records and singles, making her one of the best-selling artists of all time. She has released seven Recording Industry Association of America (RIAA) certified platinum and multi-platinum albums in the United States, that have totalled sales of over 10 million copies in the country. Fourteen of Rihanna's singles have reached number one on the US Billboard Hot 100, giving her the fourth most number-one singles on the chart. She is the only artist that produced number-one singles on the Hot 100 chart from seven consecutive albums. British DJ Calvin Harris has released five studio albums, one mix album, three extended plays, 36 singles, 12 promotional singles and 34 music videos. As of November 2014, Harris had sold 8,176,180 singles and tracks in the United Kingdom. Ready for the Weekend is the second studio album by Scottish musician Calvin Harris. It was released on 14 August 2009 by Fly Eye and Columbia Records. The album debuted atop the UK Albums Chart and was certified gold by the British Phonographic Industry (BPI). It spawned the singles "I'm Not Alone", "Ready for the Weekend", "Flashback" and "You Used to Hold Me". "Bounce" is a song by Scottish DJ Calvin Harris. The song features American singer Kelis and is a move away from Harris singing, concentrating more on production. It was released on 10 June 2011 as the first single from Harris' third studio album, 18 Months (2012). "Where Have You Been" is a song by Barbadian singer Rihanna, from her sixth studio album, Talk That Talk (2011) serving as the fifth single. The song was written by Ester Dean, Geoff Mack, Lukasz "Dr. Luke" Gottwald, Henry "Cirkut" Walter, and Calvin Harris, with production handled by the latter three. "Where Have You Been" was released as the third international single from the album on May 8, 2012. The track is a dance-pop and techno house song that draws influence from trance, R&B and hip hop. It is backed by "hard, chilly synths" and contains an electro-inspired breakdown sequence. The song's lyrics interpolate Geoff Mack's 1959 song "I've Been Everywhere" and speak of a woman who is searching for a partner who will sexually please her. 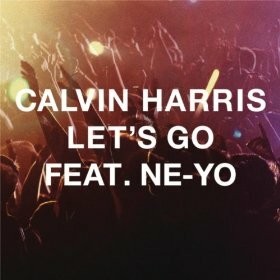 "Let's Go" is a song written and performed by Scottish DJ Calvin Harris and American singer Ne-Yo. The track was released in the United Kingdom on 30 March 2012 as the third single from Harris' third studio album, 18 Months (2012). On 29 April 2012, precisely a week after its release, "Let's Go" debuted at number two on the UK Singles Chart for the week ending dated 5 May 2012— marking Harris' third consecutive number two hit. As of July 2012, the song has sold 376,000 downloads in the United States. It also appeared on the deluxe version of Ne-Yo's fifth studio album, R.E.D. The song received a nomination for Best Dance Recording at the 55th Grammy Awards held in February 2013. "Sweet Nothing" is a song by Scottish recording artist and record producer Calvin Harris from his third studio album, 18 Months (2012). It features vocals from Florence and the Machine singer Florence Welch. Harris previously worked with the band in a remix of their single, "Spectrum" (2012). While recording 18 Months, Harris expressed interest in working with Welch. He mentioned that it was not easy and he had to chase her, due to schedule conflicts. Welch accepted his invitation and the two recorded "Sweet Nothing". The track premiered on The Chris Moyles Show on BBC Radio 1 on 28 August 2012 and was later released as the fifth single from the album on 12 October 2012. 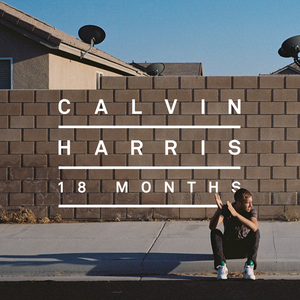 18 Months is the third studio album by Scottish DJ and musician Calvin Harris. It was released on 26 October 2012 by Deconstruction, Fly Eye and Columbia Records. 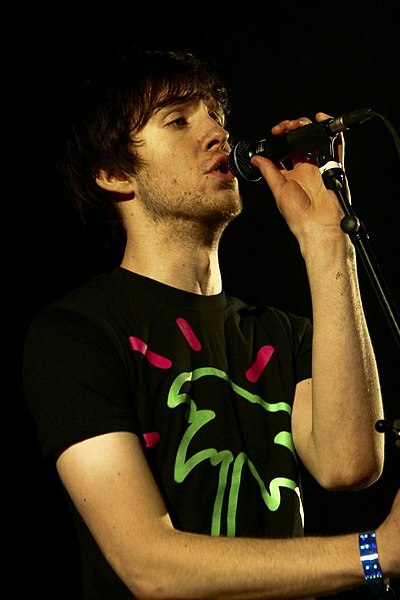 It marked Harris's first album where he does not regularly provide the vocals on each song, instead producing the music and having guest singers sing for him, as Harris stated in late 2010 he did not intend to sing on his songs anymore. The album also shows a shift from Harris' usual nu disco-style songs, focusing more on an electro house style. "Right Now" is a song by Barbadian recording artist Rihanna from her seventh studio album, Unapologetic (2012). The song features French disc jockey David Guetta. Rihanna co-wrote the song with R&B singers Ne-Yo and The-Dream, while their longtime collaborators, Norwegian production duo StarGate, co-produced the track alongside Guetta and his own longtime collaborators Nicky Romero and Giorgio Tuinfort. It was sent to contemporary hit and rhythmic radios in the United States as the fourth international single and fifth overall from the album on May 28, 2013. Musically, "Right Now" is an EDM song. The lyrical content features Rihanna chanting to live life in the moment. "I Need Your Love" is a song by Scottish producer and DJ Calvin Harris from his third studio album, 18 Months (2012). The song features vocals from English singer Ellie Goulding and was released on 12 April 2013 as the album's seventh single. "I Need Your Love" is also included as a bonus track on Goulding's second studio album, Halcyon (2012). The accompanying music video, directed by Emil Nava, depicts Harris and Goulding as a romantic couple on a trip to Miami. "Thinking About You" is a song by Scottish DJ and record producer Calvin Harris, featuring Jordanian singer Ayah Marar. It was released on 2 August 2013 as the eighth and final single from Harris' third studio album, 18 Months (2012). The song was written by Harris and Marar, who previously worked together on Harris's promotional single, "Let Me Know" (2004) and "Flashback" (2009), the third single from his second studio album, Ready for the Weekend. "Summer" is a song by Scottish recording artist Calvin Harris, released on 14 March 2014 as the second single from his fourth studio album, Motion (2014). Like his earlier single "Feel So Close" and his later single "My Way", Harris returns as a vocalist on "Summer". The accompanying music video was directed by Emil Nava and premiered on 6 April 2014. 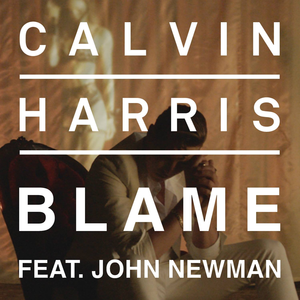 "Blame" is a song by Scottish DJ and record producer Calvin Harris from his fourth studio album, Motion (2014). It was released as the album's third single on 5 September 2014. The song features the vocals of English singer John Newman and is included on the deluxe edition of Newman's second studio album, Revolve. Newman's brother James Newman assisted the artists in writing the song, with Harris serving as the producer. 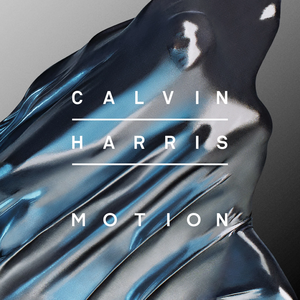 Motion is the fourth studio album by Scottish DJ and record producer Calvin Harris. It was released on 31 October 2014 by Fly Eye and Columbia Records. The album includes collaborations with Ellie Goulding, Gwen Stefani, John Newman, Tinashe, Big Sean, Alesso, R3hab, Ummet Ozcan, Firebeatz, Hurts, Haim and All About She. "Open Wide" is a song by Scottish DJ and producer Calvin Harris from his fourth studio album, Motion (2014). It features American rapper Big Sean. Originally released a promotional single on 27 October 2014, the song officially impacted rhythmic contemporary radio in the United States on 27 January 2015 as the album's fifth single. "Open Wide" is the vocal version of Harris's instrumental track "C.U.B.A", which appears as a B-side to his single "Blame". It peaked at number 23 in the UK, becoming Harris's first single to miss the top 10 since 2010. "How Deep Is Your Love" is a song by Scottish DJ and record producer Calvin Harris and English production trio Disciples. It was released on 17 July 2015. It features uncredited vocals by Norwegian singer and songwriter Ina Wroldsen. 1 2 Leatherman, Benjamin (25 April 2013). "Calvin Harris @ Maya Day and Nightclub". Phoenix New Times. Retrieved 26 October 2014. 1 2 Brandle, Lars (22 April 2013). "Calvin Harris Sets Chart Record, Becomes U.K.'s New 'King of Pop'". Billboard. Retrieved 26 October 2014. ↑ "Latest Music Releases: Calvin Harris, The Jungle Giants, DJ Khaled, Haim, Washed Out". news.com.au . 6 July 2017. Retrieved 20 May 2018. ↑ "Calvin Harris". Billboard. Retrieved 14 July 2015. 1 2 "Calvin Harris's billion streams on Spotify are worth $7 million". Music Week. 8 September 2015. Retrieved 9 September 2015. ↑ "Debrett's 500 List: Music". The Telegraph. 21 January 2017. ↑ Mason, Stewart. "Calvin Harris Biography". AllMusic. Retrieved 12 October 2015. ↑ "Calvin Harris: How the non-dancing, foul-mouthed, anti-social Scot became the 'Caledonian Justin Timberlake'". The Independent. London. 2 August 2009. Retrieved 14 July 2015. 1 2 "From bedroom to Billboard". The Herald. Glasgow. 29 July 2015. ↑ Mason, Stewart. "Calvin Harris". AllMusic. Archived from the original on 23 September 2010. Retrieved 26 October 2009. 1 2 3 4 "Calvin Harris". Billboard. Retrieved 14 July 2015. ↑ "Calvin Harris: I worked in a fish factory". Belfast Telegraph. 29 July 2015. 1 2 "Calvin Harris and Rihanna's Power Players: What's Next From Three Six Zero/Roc Nation's EDM-Pop Partnership". Billboard. Retrieved 11 October 2015. ↑ "Interview: Calvin Harris". artistdirect. Retrieved 11 October 2015. ↑ "You Won't Believe What Made Calvin Harris Choose His Stage Name". Capital Xtra. 16 April 2016. ↑ Ronan, Liam (26 March 2007). "Acceptable in the Noughties – Calvin Harris". Gigwise. Giant Digital. Retrieved 12 June 2007. 1 2 "Interview: Calvin Harris on software, hardware and hit-making". MusicRadar. Future. 20 February 2012. Retrieved 30 July 2014. 1 2 "Web wonder Calvin wins over Kylie". BBC News. 19 February 2007. Retrieved 12 March 2007. ↑ "Calvin to support Groove Armada on UK Tour". calvinharris.tv. 19 April 2007. Archived from the original on 13 January 2009. Retrieved 12 June 2007. 1 2 3 "British certifications – Calvin Harris". British Phonographic Industry . Retrieved 24 August 2015. Type Calvin Harris in the "Search BPI Awards" field and then press Enter. 1 2 3 4 5 6 7 8 9 10 11 12 "Calvin Harris". Official Charts Company. Retrieved 21 February 2015. ↑ "Calvin Harris – Chart history: Dance/Electronic Albums". Billboard. Retrieved 30 July 2014. ↑ "4th of July (The Remixes) – EP by Kelis". iTunes Store (US). Retrieved 26 October 2014. ↑ "Calvin Harris | Biography & History | AllMusic". AllMusic. Retrieved 23 April 2018. ↑ "Full list of awards and nominees for 2009 Brit Awards". The Independent. London. 29 July 2015. ↑ "BBC Radio 1's Essential Mix, 18/10/2008". BBC Radio 1. 18 October 2008. Retrieved 12 September 2012. 1 2 "Calvin Harris announces new album details". NME. 12 June 2009. ↑ "It's JAM TV from Calvin Harris...genius". Get Your Ears Out. 16 July 2009. Archived from the original on 25 April 2012. Retrieved 7 November 2011. ↑ "Calvin Harris: I've quit singing". Digital Spy. Retrieved 11 October 2015. 1 2 3 4 "Calvin Harris Is Done Singing Lead, Despite Solo Hits". Billboard. Retrieved 11 October 2015. ↑ "Calvin Harris: How the non-dancing, foul-mouthed, anti-social Scot became the 'Caledonian Justin Timberlake'". The Independent. London: Independent Print Limited. 2 August 2009. Retrieved 2 August 2009. ↑ Dombal, Ryan (4 August 2009). "Sigur Rós's Jónsi, Bloc Party's Kele Okereke on New Tiësto Album". Pitchfork Media. Retrieved 8 August 2009. 1 2 Copsey, Robert (31 January 2012). "The Ting Tings: 'Scrapped album was s*** Euro-pop'". Digital Spy. Retrieved 18 February 2012. ↑ "Calvin sorry for Jedward stunt". Irish Independent. 14 November 2009. Retrieved 15 November 2009. ↑ Izundu, Chi Chi (4 October 2010). "Calvin Harris says Chris Brown 'stole' his song". BBC Radio 1. BBC . Retrieved 12 February 2011. ↑ "Calvin Harris and Chris Brown make up after song row". BBC Radio 1. BBC. 25 August 2011. Retrieved 30 August 2011. ↑ "Kylie Minogue, "Aphrodite"". Billboard. 25 June 2010. Retrieved 16 September 2013. ↑ "Rihanna reveals Calvin Harris will DJ when Loud tour hits UK". Metro. 29 July 2011. Retrieved 12 September 2012. 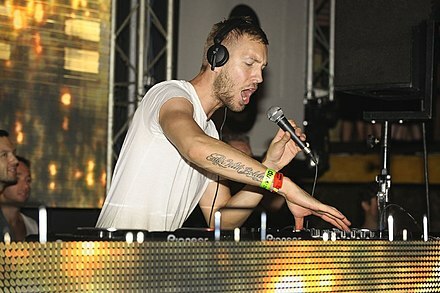 ↑ "Calvin Harris joins the Party 2011 line-up!". Sydney Mardi Gras. Archived from the original on 21 July 2012. Retrieved 12 September 2012. ↑ Nelson, Trevor. Tinchy Stryder – Interview With Trevor Nelson. BBC Radio 1Xtra/BBC Radio. Retrieved Thursday, 10 November 2011. ↑ "Calvin Harris – Calvin Harris Produced Tinchy Single". Contactmusic.com. 2 September 2011. Retrieved 5 November 2011. 1 2 3 "Calvin Harris – Chart history: Hot 100". Billboard. Retrieved 5 March 2013. ↑ "2011 RhythmandVines, New Zealand". rhythm and vines. Retrieved 27 September 2014. ↑ "Rihanna Calvin Harris – We Found Love". Music Charts. Retrieved 8 June 2012. ↑ Trust, Gary (2 November 2011). "Rihanna's 'Found' Her Way Back to Hot 100 Summit". Billboard. Retrieved 7 September 2012. ↑ Trust, Gary (21 December 2011). "Rihanna's 'Love' Her Longest-Leading Hot 100 No. 1". Billboard. Retrieved 7 September 2012. ↑ Bronson, Fred. "Hot 100 55th Anniversary: The All-Time Top 100 Songs". Billboard. Retrieved 2 August 2013. ↑ Mason, Kerri; McCarthy, Zel (1 October 2013). "The Top 10 Dance-Pop Collaborations of All Time". Billboard. Retrieved 29 July 2014. ↑ "My Life II... The Journey Continues (Act 1) CD". TheHut.com. 21 November 2011. Archived from the original on 1 April 2012. Retrieved 28 July 2015. ↑ Goodacre, Kate (20 April 2012). "Cheryl Cole new single 'Call My Name' – listen now". Digital Spy. Retrieved 21 April 2012. ↑ "New Releases U.K. – Forthcoming Singles". Radio1 Rodos Greece. Archived from the original on 12 May 2012. Retrieved 3 July 2012. ↑ "Official Charts Analysis: Newton Faulkner needs just 16k sales to hit No.1". Music Week. 16 July 2012. Retrieved 16 July 2012. 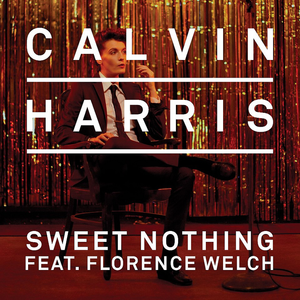 ↑ "Calvin Harris unveils his Florence Welch collaboration 'Sweet Nothing' – listen". NME. 28 August 2012. Retrieved 12 September 2012. ↑ Hanagan, Ellie (14 April 2011). "Interview: Calvin Harris on his new single, Twitter and touring with Rihanna". Beatportal. Archived from the original on 17 April 2011. Retrieved 5 November 2011. ↑ Myers, Justin (10 March 2017). "The albums that spawned the most Top 10 singles". Official Charts Company. Retrieved 18 June 2017. ↑ Downey, Ryan J. (6 September 2012). "VMA DJ Calvin Harris Nabs Moonman For Best EDM Video". MTV News. Retrieved 12 September 2012. ↑ Vena, Jocelyn (10 September 2012). "Rihanna Credited For Catalyzing Calvin Harris' VMA Breakthrough". MTV News. Retrieved 12 September 2012. ↑ "CALVIN HARRIS JOINS STARS AT 2013 FORMULA 1™ GULF AIR BAHRAIN GRAND PRIX PARTY". Bahrain International Circuit Website. Archived from the original on 29 October 2013. Retrieved 27 March 2013. ↑ Masters, Tim (16 May 2013). "Emeli Sande enjoys double win at Ivor Novello awards". BBC News. Retrieved 24 June 2014. ↑ Hampp, Andrew. "Calvin Harris Is Done Singing Lead, Despite Solo Hits". Billboard. Retrieved 9 September 2016. ↑ "Calvin Harris, Alesso, Hurts Theo debut new single 'Under Control' – listen". Digital Spy. Retrieved 25 October 2014. ↑ "Harris's EDM-style remix will appear on the deluxe edition of the band's 'Direct Hits' album, out November 11". Rolling Stone. 26 October 2013. Retrieved 3 August 2013. 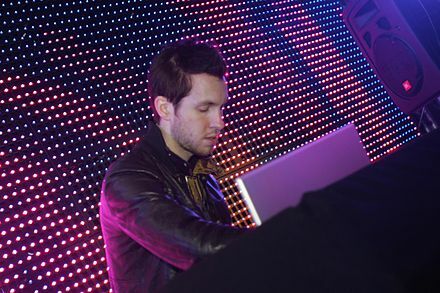 ↑ "Calvin Harris Remixes Killers' 'When You Were Young' – Song Premiere". NME. 25 October 2013. Archived from the original on 1 March 2014. Retrieved 3 August 2013. 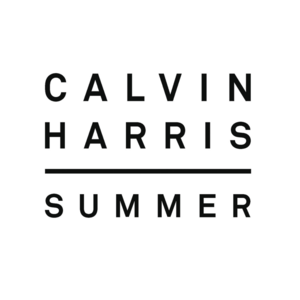 ↑ "Calvin Harris' New Song 'Summer' For First Play on Capital Friday 14th March". Capital FM. 13 March 2014. Retrieved 14 March 2014. ↑ Lane, Daniel (4 May 2014). "Calvin Harris scores his sixth UK Number 1 single with Summer". Official Charts Company. Retrieved 7 May 2014. ↑ "Calvin Harris – Chart history: The Hot 100". Billboard. Retrieved 13 December 2014. 1 2 "How DJ Calvin Harris Became the Year's Most Successful Headliner". Inc. Retrieved 2 August 2015. ↑ "Rita Ora scores fourth UK Number 1 single with I Will Never Let You Down". officialcharts.com. 18 May 2014. 1 2 "Calvin Harris beats out Arcade fire and Outkast at Coachella". DJ Mag. 16 April 2014. Archived from the original on 22 April 2014. ↑ Joyce, Alice (5 September 2014). "'Blame' set to be our next summer anthem..." MTV. Retrieved 5 September 2014. ↑ "Calvin Harris Releases Online-Only Track C.U.B.A." MTV UK. ↑ "Calvin Harris Teases New Track 'Slow Acid' – Listen Here!". MTV UK. Retrieved 25 October 2014. ↑ "Calvin Harris announces new album Motion". Official Charts Company. 26 September 2014. Retrieved 26 September 2014. ↑ "BBC Radio 1 Playlist". BBC Radio 1. Archived from the original on 3 February 2015. Retrieved 29 July 2015. ↑ Hann, Michael (15 January 2015). "Sam Smith, George Ezra and Ed Sheeran dominate Brits nominations". The Guardian. Retrieved 29 July 2015. ↑ "Calvin Harris Finds His 'Glamour U.K.' Awards Man of the Year Win 'Unexpected'" . Retrieved 30 July 2015. ↑ "Top 30 EDM Power Players" . Retrieved 30 July 2015. ↑ "EDC Las Vegas Announces 2015 Lineup: Tiësto, Calvin Harris, Avicii & More" . Retrieved 31 July 2015. ↑ "How Deep Is Your Love – Single by Calvin Harris & Disciples". iTunes Store. Retrieved 14 July 2015. ↑ "UK Official Singles Charts". officialcharts. 7 August 2015. Retrieved 28 August 2015. ↑ Harp, Justin (24 July 2015). "Little Mix make history as 'Black Magic' stays at UK No.1 for second straight week". Digital Spy. Retrieved 2 August 2015. ↑ "Calvin Harris scores his first ARIA #1". ARIA Charts. 30 August 2015. Archived from the original on 5 September 2015. Retrieved 30 August 2015. ↑ Murray, Gordon (30 July 2015). "Calvin Harris Digs 'Deep' in Dance/Electronic Songs Debut" . Retrieved 31 July 2015. ↑ "DILLON FRANCIS & CALVIN HARRIS PREMIERE NEW COLLAB 'WHAT'S YOUR NAME'". EDM.com. Archived from the original on 17 September 2015. Retrieved 9 October 2015. ↑ "Brit Awards 2016: The nominations". BBC News. 14 January 2016. Retrieved 22 January 2016. ↑ "Hear Calvin Harris and Dizzee Rascal's New Single: Does It Match the 'Hype'?". Billboard. 24 June 2016. Retrieved 17 July 2016. ↑ "Calvin Harris & John Newman's 'Ole': Listen to the Controversial Breakup Song". Billboard. 8 July 2016. Retrieved 17 July 2016. ↑ Roth, Madeline (20 September 2016). "Calvin Harris Reveals Who Convinced Him To Sing On 'My Way'". MTV. Retrieved 22 September 2016. ↑ Reyes, Kim (18 September 2016). "Calvin Harris' new single 'My Way' has hit #1 on iTunes in 13 countries". dancingastronaut.com. Retrieved 22 September 2016. ↑ Calvin Harris [@CalvinHarris] (21 February 2017). "CALVIN HARRIS // FRANK OCEAN // MIGOS" (Tweet) – via Twitter. ↑ "Calvin Harris Reveals Details of Collaboration With Frank Ocean and Migos". Spin. 21 February 2017. Retrieved 1 July 2017. ↑ "Calvin Harris reveals details of Frank Ocean and Migos collaboration 'Slide'". NME . 21 February 2017. Retrieved 1 July 2017. ↑ Okey, Regan (14 March 2017). "Dua Lipa splits from boyfriend and gets closer to Calvin Harris in LA". Daily Star. Retrieved 1 July 2017. ↑ "Heatstroke (feat. Young Thug, Pharrell Williams & Ariana Grande) – Single by Calvin Harris". iTunes Store (US). 31 March 2017. Retrieved 31 March 2017. ↑ Gracie, Bianca (9 May 2017). "Calvin Harris Announces New Album 'Funk Wav Bounces Vol. 1': See the Release Date". Fuse. Retrieved 9 May 2017. ↑ Bein, Kat (8 February 2018). "Calvin Harris & PARTYNEXTDOOR Drop New Tune, and You're 'Nuh Ready': Watch". Billboard. Retrieved 7 April 2018. ↑ Blistein, Jon (8 February 2018). "Watch Calvin Harris' Glitchy 'Nuh Ready Nuh Ready' Video". Rolling Stone. Retrieved 7 April 2018. ↑ Jones, Abby (6 April 2018). "Calvin Harris & Dua Lipa Release Enticing New Single 'One Kiss': Listen". Billboard . Archived from the original on 6 April 2018. Retrieved 7 April 2018. ↑ Reilly, Nick (14 August 2018). "Calvin Harris announces new Sam Smith collab 'Promises'". NME . Retrieved 4 September 2018. ↑ Wong, Curtis M. (2018-09-05). "With 'Promises,' Sam Smith And Calvin Harris Pay Homage To Queer Ball Scene". Huffington Post. Retrieved 2018-09-05. ↑ "The World's Highest-Paid DJs Of 2018". Forbes. Retrieved 20 March 2019. ↑ "Calvin Harris Will Heat Up Ibiza With Summer 2019 Ushuaïa Residency". Billboard. Retrieved 20 March 2019. ↑ "Calvin Harris: "Some of the best producers in the world make EDM... Face facts"". 2 February 2018. ↑ "Calvin Harris: Funk Wav Bounces Vol. 1 Review". Pastemagazine.com. Retrieved 20 May 2018. ↑ Bein, Kat (12 February 2018). "Calvin Harris Says Porter Robinson Restored His Love of Dance Music". Billboard . Retrieved 15 March 2018. ↑ "2015 Kia Soul EV Hamster Commercial – What's The Song?". Popcrush.com. Retrieved 1 July 2017. ↑ O'Brien, Ciara (27 March 2014). "The Soundtrack of Life for music lovers". The Irish Times. Retrieved 27 July 2015. 1 2 "calvin launches record label". MTV. ↑ "Publishing Briefs: Sony/ATV Signs Tegan and Sara & Calvin Harris Extension, ole Nabs $50m Credit & Joey + Rory". Billboard. 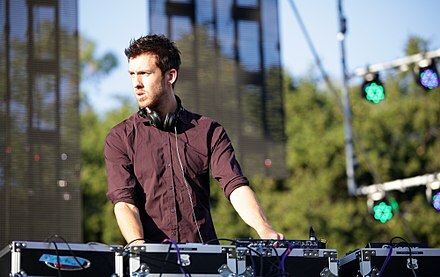 ↑ "Calvin Harris to be Deconstruction A&R man" . Retrieved 8 October 2015. ↑ "Calvin Harris to A&R Deconstruction". Defected Records. Retrieved 8 October 2015. ↑ "Wynn signs 34 dance music DJs to exclusive club residencies". Las Vegas Sun. Retrieved 4 October 2015. ↑ Lipsay, Lauren (20 February 2013). "Calvin Harris Takes His DJ Talents to Hakkasan Las Vegas: Exclusive". Billboard. Retrieved 4 March 2013. ↑ "Calvin Harris bags new Las Vegas deal with Hakkasan Group". BBC. 27 January 2015. Retrieved 29 July 2015. ↑ "HAKKASAN GROUP SIGNS CALVIN HARRIS TO EXCLUSIVE THREE-YEAR PARTNERSHIP". Hakkasan Group. 27 January 2015. Archived from the original on 6 February 2015. Retrieved 29 July 2015. ↑ Sisario, Ben (13 March 2015). "It's Official: Jay Z's Historic Tidal Launches With 16 Artist Stakeholders". The New York Times. Retrieved 26 July 2015. ↑ Flanagan, Andrew (30 March 2015). "It's Official: Jay Z's Historic Tidal Launches With 16 Artist Stakeholders". Billboard. Retrieved 26 July 2015. ↑ Goodway, Frankie (18 November 2014). "How much money DO musicians get out of Spotify?". Daily Mirror. Retrieved 26 July 2015. 1 2 "Wasted Youth". Londonist. 3 September 2007. Retrieved 1 August 2015. ↑ "Housing charity urges Wickerman festival-goers to help support campaign to end homelessness". Shelter. 22 July 2008. Archived from the original on 20 October 2017. Retrieved 2 August 2015. 1 2 "post-BRITS gig 2010" . Retrieved 2 August 2015. ↑ "Take That to headline War Child and O2 BRIT Awards Show". O2. 19 January 2015. Retrieved 2 August 2015. ↑ "Rihanna, Calvin Harris, More Teaming Up For Charity Concert". MTV. 30 January 2012. Retrieved 1 August 2015. 1 2 3 "Press". RED.org. Archived from the original on 2 October 2015. Retrieved 1 August 2015. ↑ "Tiesto Recruits Bono, Calvin Harris, Diplo for AIDS Charity Compilation". Rolling Stone. 20 November 2012. Retrieved 1 August 2015. ↑ "CALVIN HARRIS DONATES $20,000 TO DJ SNAKE'S CHARITY CAMPAIGN BENEFITING THE ROHINGYAS TOTALING ALMOST $1.5 MILLION". MTV. 30 November 2017. Retrieved 17 May 2018. ↑ "CALVIN HARRIS DONATES OMNIA BOOKING FEE TO FAMILY MEMBERS & VICTIMS OF LAS VEGAS SHOOTING". MTV. 30 November 2017. Retrieved 17 May 2018. ↑ Greenburg, Zack O'Malley (14 August 2013). "Electronic Cash Kings 2013: The World's Highest-Paid DJs". Forbes. Retrieved 1 November 2014. ↑ Greenburg, Zack O'Malley (19 August 2014). "The World's Highest-Paid DJs: Electronic Cash Kings 2014". Forbes. Retrieved 1 November 2014. ↑ Greenburg, Zack O'Malley (24 August 2015). "The World's Highest-Paid DJs: Electronic Cash Kings 2015". Forbes. Archived from the original on 26 August 2015. Retrieved 24 August 2015. ↑ "Paul McCartney tops musicians' rich list. Again". The Guardian. 29 July 2015. ↑ "Calvin Harris is the Richest DJ, but Not the Richest Musician". ESA Records. 29 July 2015. ↑ Duff, Anna (8 May 2013). "Hot new couple?! Cara Delevingne's 'wifey' Rita Ora 'dating' Calvin Harris". celebsnow.co.uk. Retrieved 6 March 2017. ↑ Hill, Nick (7 June 2014). "Calvin Harris And Rita Ora Split Up, DJ Confirms on Twitter". contactmusic.com. Retrieved 11 July 2014. ↑ Lee, Esther (1 April 2015). "Taylor Swift Is Dating Calvin Harris: Details on Their New Romance". Us Weekly. Retrieved 24 May 2015. ↑ "Taylor Swift and Calvin Harris Split: What Really Went Wrong With Their Relationship". eonline.com. 1 June 2016. ↑ "Calvin Harris bags himself a new Entourage of fans as he launches his Hollywood career". Daily Record. 14 June 2015. Retrieved 15 August 2017. 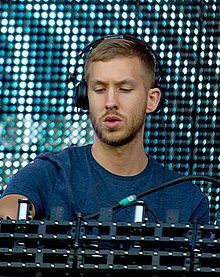 Wikimedia Commons has media related to Calvin Harris .